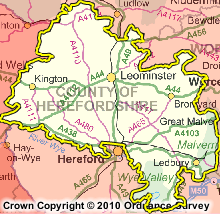 The North Herefordshire constituency came into existence at the General Election which took place on 6 May 2010. The seat covers a similar area to the previous Leominster parliamentary constituency, although the new constituency is based entirely in Herefordshire and no longer includes parts of Worcestershire. Get Directions to our constituency office.